The Cotton Club in its heyday. If there’s a single place that best represents the opulence and excessiveness of the 1920s, it’s New York City’s Cotton Club. There were many high-quality clubs operating at the time — the 21 Club, Fifty Five Bar, the Blind Pig to name three — but none achieved the mystique of the Cotton Club. Unveiled in 1923 at 142nd Street and Lenox Avenue in the heart of Harlem, the club, designed to attract New York’s upper class, was noted for its extravagant floor shows that featured such performers as Fletcher Henderson, Count Basie, Bessie Smith, Cab Calloway, the Nicholas Brothers, Ella Fitzgerald, Fats Waller and Louis Armstrong. 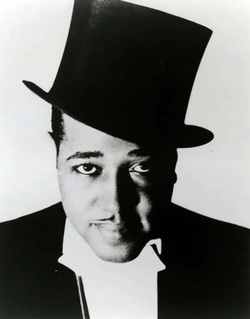 From December 1927 to June 1931, the house band was led by Duke Ellington. Only top performers were booked, and those strict standards for quality extended to the club dancers. They had to be at least 5’6", light skinned and under 21 years old. Performers were almost exclusively black with the only exceptions being prominent white performers who were making guest appearances. During its heyday, it served as a chic meeting spot for the well-heeled and a popular attraction was its Sunday "Celebrity Nights" at which such notables as Jimmy Durante, George Gershwin, Al Jolson, Mae West, Irving Berlin, Eddie Cantor, Moss Hart, New York Mayor Jimmy Walker and other luminaries would drop by for drinks and dinner — and an opportunity to be seen. Even top underworld figures would make occasional — but less showy — appearances. The strictly segregated club — decorated with a "stylish plantation environment" — was reinforced by its depiction of its black employees as exotic savages or plantation residents. Even the music was often orchestrated to resemble a jungle atmosphere. The club was owned and operated by New York gangsters Owen "Owney" Madden and his partner George "Big Frenchy" De Mange. In reality, however, there were many silent partners, all members of the underworld. Madden used the club as an outlet to sell his "#1 Beer" to the prohibition crowd. The club was briefly closed several times in the 1920s for violations of alcohol laws, but the owners’ political connections allowed them to always reopen quickly. The club was originally owned by heavyweight boxing champion Jack Johnson, who opened it in 1920 as the Club De Luxe. Madden took it over in 1923 while imprisoned in Sing Sing, and renamed it the Cotton Club. Despite the strong racist attitude of the club, it nonetheless served as a springboard to fame for many young performers. Fletcher Henderson, a then unknown who led the first band to play there in 1923, when on to achieve great success, and returned to the club as a guest performer many times. The club also gave Duke Ellington national exposure through weekly radio broadcasts originating from the club. It also enabled him to develop his repertoire while composing not only the dance tunes for the shows, but also the overtures, transitions, accompaniments and "jungle" effects. This gave him the musical freedom to experiment that bands rarely had in his day. Cab Calloway and his Brown Sugar Revue began making regular appearances at the club. In 1930 it became the house band, replacing Ellington’s group. 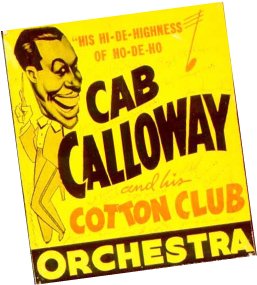 In 1934, Jimmie Lunceford’s band replaced Calloway’s. The club also launched the career of Lena Horne, who began there as a 16-year-old chorus girl. Dorothy Dandridge performed there while still one of The Dandridge Sisters, while Coleman Hawkins and Don Redman played there as part of Henderson’s band. Tap dancers Bill "Bojangles" Robinson, Sammy Davis Jr. (as part of the Will Mastin Trio), and the Nicholas Brothers starred there, as well. The club also drew from white popular culture of the day. Dorothy Fields and Jimmy McHugh, one of the most successful songwriting teams of the era, along with Harold Arlen, provided the songs for many of the club’s revues, one of which, "Blackbirds of 1928" starring Adelaide Hall, introduced the songs "I Can’t Give You Anything But Love" and "Diga Diga Doo," two of the most popular songs of the day. In 1934, Hall starred at the Cotton Club in the biggest grossing show that ever appeared at the club. Featured on the bill was the 16-year-old Lena Horne. Closed temporarily in 1936 after the race riot in Harlem the previous year, the cub reopened later that year at Broadway and 48th Street. It closed for good in 1940, under pressure from higher rents, changing tastes and a federal investigation into tax evasion by Manhattan nightclub owners. The famous Latin Quarter nightclub opened in its space and the building was torn down in 1989 to make way for a hotel. A new club with the same name opened in 1978 in Harlem on 125th street. A Chicago branch of the Cotton Club was run by Ralph Capone, Al Capone’s older brother, and a West Coast branch of the Cotton Club opened in Culver City, Calif., in the late 1920s and early 1930s. Both clubs featured performers from the original Cotton Club such as Armstrong, Calloway and Ellington. A newer club is still open in Kuala Lumpur, Malaysia. A 1937 ad for the Cotton Club. Note dinner is only $1.50.